Antarctica is Earth’s southernmost continent, encapsulating the South Pole. It is situated in the Antarctic region of the southern hemisphere, almost entirely south of the Antarctic Circle, and is surrounded by the Southern Ocean. At 14.0 million km2 (5.4 million sq mi), it is the fifth-largest continent in area after Asia, Africa, North America, and South America. About 98% of Antarctica is covered by ice, which averages at least 1.6 kilometres (1.0 mi) in thickness. Antarctica, on average, is the coldest, driest, and windiest continent, and has the highest average elevation of all the continents. Antarctica is considered a desert, with annual precipitation of only 200 mm (8 inches) along the coast and far less inland. There are no permanent human residents, but anywhere from 1,000 to 5,000 people reside throughout the year at the research stations scattered across the continent. Only cold-adapted plants and animals survive there, including penguins, seals, nematodes, tardigrades, mites, many types of algae and other microorganisms, and tundra vegetation. Although myths and speculation about a Terra Australis ("Southern Land") date back to antiquity, the first confirmed sighting of the continent is commonly accepted to have occurred in 1820 by the Russian expedition of Fabian Gottlieb von Bellingshausen and Mikhail Lazarev. The continent, however, remained largely neglected for the rest of the 19th century because of its hostile environment, lack of resources, and isolation. The first formal use of the name “Antarctica” as a continental name in the 1890s is attributed to the Scottish cartographer John George Bartholomew. The name Antarctica is the romanized version of the Greek compound word ἀνταρκτική (antarktiké), feminine of ἀνταρκτικός (antarktikos), meaning “opposite to the north”. The Antarctic Treaty was signed in 1959 by twelve countries; to date, forty-six countries have signed the treaty. The treaty prohibits military activities and mineral mining, supports scientific research, and protects the continent’s ecozone. Ongoing experiments are conducted by more than 4,000 scientists of many nationalities and with various research interests. Antarctica is a frozen, windswept continent, so hostile and remote that it has no permanent inhabitants. Scientists working here have made many discoveries from studying Antarctica’s land and atmosphere, and from clues buried beneath the ice. These discoveries also reveal signs of changes in the future that could affect us all. Take a journey through this site to discover Antarctica for yourself. Each section features activities, images, video clips and fact sheets, to help you learn about this distant, frozen wilderness. The Antarctic is the coldest, driest and windiest place on earth, with the coldest ever recorded temperature of -89.2 centigrade. It is officially a desert, with only 8 inches of rain a year at its coast. Inland, there Is virtually no rainfall. Antarctica has the highest elevation of any continent, with most of it more than 2 miles above sea level. Only cold-adapted plants and animals survive in this environment: penguins, seals, mites, nematodes, algae, other micro-organisms and tundra. The Antarctic is a vital destination for scientific research in a number of areas including climate studies, oceanography and animal studies. A number of countries have permanent scientific bases on the continent, where the population varies from about 1,000 people in winter to 4,000 in summer. 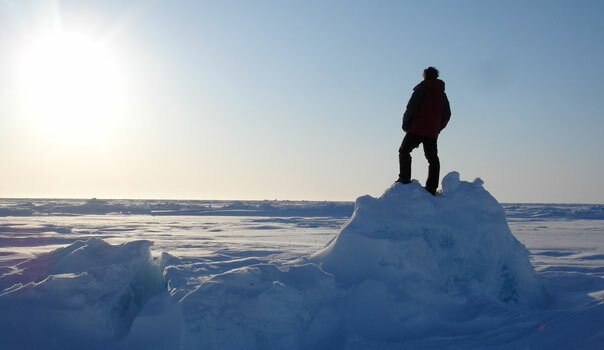 The UK has been a world leader in Antarctic science and exploration for more than two centuries; the British Antarctic Survey has been responsible for UK scientific research there for 60 years. The Antarctic is a sensitive indicator of global change; a small increase in global temperature can have a large impact on the melting of Antarctic ice. The Expedition is pleased to acknowledge and thanks its partners and sponsors.